What Could An AO Co-op Look Like? The real answer is it could look like almost anything you like - it would be your co-op, your gathering of a few local homeschooling famiiies, and you would decide what would work best for you. You might meet once a week or once a month- or something in between. 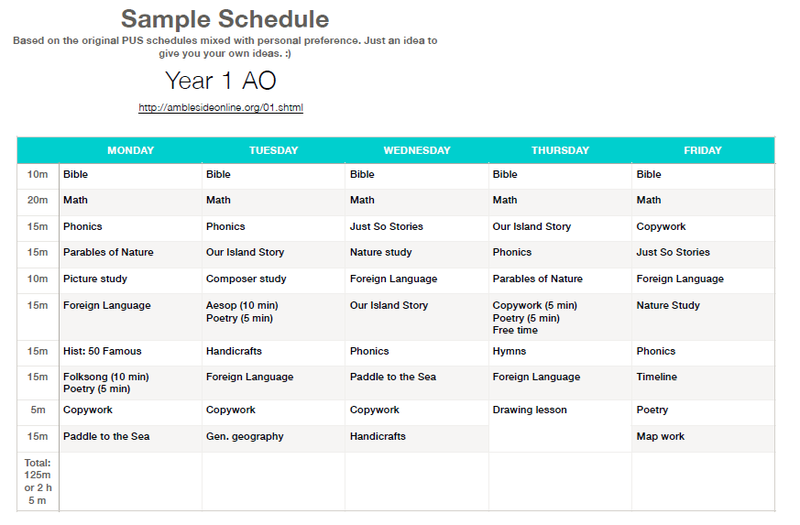 You might have ten families all doing AO on schedule, and you could essentially have a cottage school together. You might have two families, and one of them isn't even all that keen on Charlotte Mason, but you could still figure out some things that are compatible with your regular school days that you could enjoy doing together. You might live in a concrete jungle with a two hour drive to any green space so you don't want to do anything but nature walks on a co-op day, or you might live in the woods and have people come out to your house so you can combine nature walks with your co-op day. We have two possible approaches to suggest. First, we have some suggestions I have compiled from my own experiences with an AO or CM co-op and collected from others. 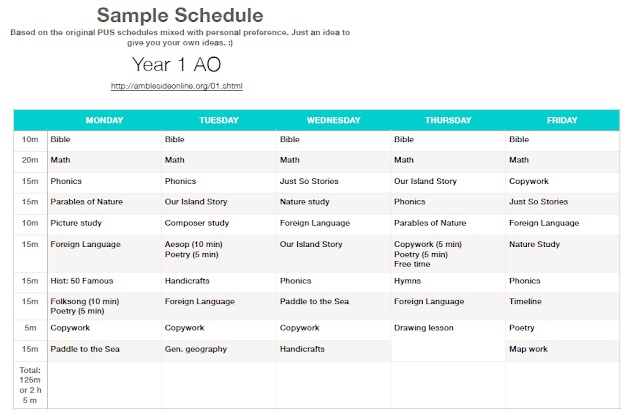 These suggestions are intended for use by families using AO essentially as written, but it wouldn't be difficult to adapt them for use with those who combine other curricula, or just do CM, or for a group with a mix of homeschooling philosophies. I hate saying the possibilities are endless because it is such a cliche, but really, the following ideas could be combined in too many unique ways to tabulate, and one of them is probably just right for your group. Don't let the perfect become the enemy of good enough to get started. Just figure a few things out and jump in, committing to being flexible, tolerant of other families' foibles and your own. Keep a sense of humour and work out the kinks as you go along. To begin with, ask around and find out who else might be interested. ~Collect names and ages of families/children, so you know what you will need. For instance, if you have no high school students, your co-op will look different to a co-op that includes several high school students. ~What is it you each want most from a co-op? If most of the moms really just want some time with other adults, consider having a parents' study group a couple of times a month instead. ~If you have AO families (or families using all the same curriculum from any CM type offerings), think about dividing your kids into forms- so all kids in years 1-3 would do the same things together on co-op day, and all the year 4-6 or 7 would be together, and then 8 on up would be together (fuzzy lines are okay here). - Consider going in together and hiring an art teacher, foreign language instructor, somebody who can teach a handicraft, a music teacher, a singing instructor, a math tutor, a biology teacher (not all of the above at once, necessarily)- knowledgable instructors who can give some focused weekly instruction and directions that all of you can practice at home throughout the week. --For AO families: Consider this a good time to use one of the 'Unicorn' (that is, really hard to find or expensive) books. If only one person in your group has that wonderful hard to find book, ask if they would consider bringing it and reading aloud from it at co-op meetings. ~How often do you meet? ~Do you want to collect dues and hire a specialist for some things? ~any standards of behavior or statement of faith that need to be ironed out? Here is a group of suggestions- pick and choose! Some of them would be best for a co-op where all families are following the same AO schedule, some would work best for families that are at least on baord with Charlotte Mason, and some would be compatible even for a group where only one person is a CM homeschooler. A weekly science demonstration- something fun about basic science stuff, how things work, why water does what it does, how toilets flush, why you don't put a magnet on your computer, etc. Play a game- a board game, an outside game, something fun that they might not get to do at home because they don't have enough kids to play. One of the old school yard games is a good choice, something like duck, duck, goose, Mother May I, or something else. Play a game- a board game, an outside game, something fun that they might not get to do at home because they don't have enough kids to play. This is a good time for something like kickball or soccer or some other loosely organized team sport. Recitations- if the group is too large for all to take a turn reciting, draw names for five recitations (need not be done all at once, could divide this up and have one at the beginning of the day and one during a snack or lunch time). See the Burrell article on recitation on the PR section of the website and have a short lesson on recitation). Listen to composer music, perhaps read aloud a biography of the composer over a few weeks by reading each co-op time. "Book reports," just narrations- not everybody needs to present if that would take too long, either choose ahead of time or everybody knows they might be called on, or draw names and have a few people come up to share their favourite reading that week. Biography- share a biography of the term's composer, artist, or poet and read aloud together every week. Handicraft: have different people come prepared to teach different handicrafts through the year, or hire an art instructor to do group lessons. 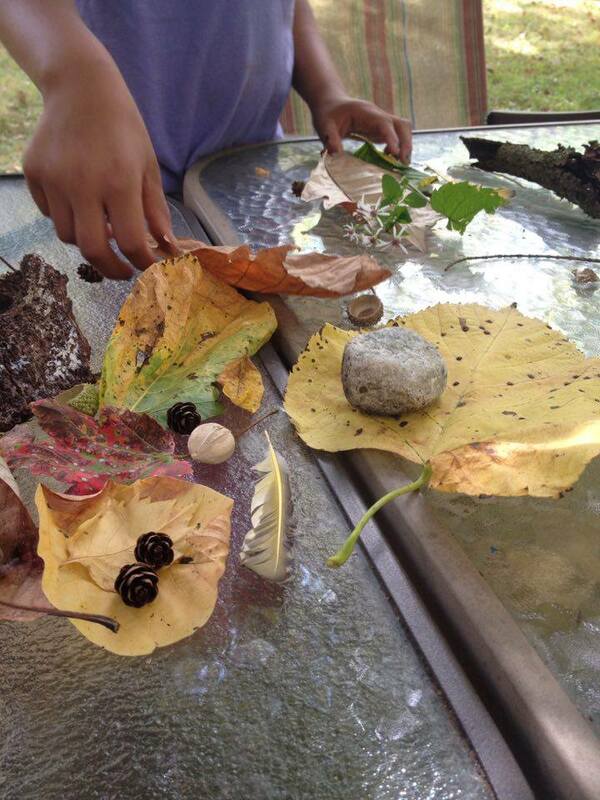 Nature study- also do some kind of object lesson using Hons- Present something like a branch from an oak tree, a basket of seashells, a pinecones, rocks, bones, etc and have the kids just look it over and find out as much as they can from their own observations and then combine knowledge, read something from Hons, ask a few leading questions, discuss. What if you are the only CM or AO mom in the group? 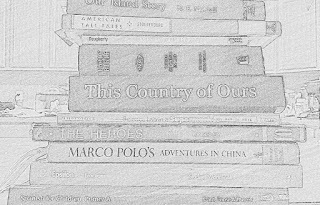 Book reports- you don't have to be on the same page for this at all- the kids read what they read independently, and the other kids give a book report and your kids narrate a book they finished that week. PE- whether drills, or kickball, or volleyball, etc. Some kind of recitation- perhaps a public speaking opportunity. Mad Libs for parts of speech is still fun in a group, regardless of educational philosophy and background. I'm sure there are ways other things could be adapted so they are mutually beneficial and compatible with your individual goals for your families. We would encourage you to focus on organizing your co-op in a way that would not burden parents too much by requiring a lot of outside work to keep up, but that could, at the same time, somehow incorporate things they might already be trying to fit in (like reading a biography of the term's artist together, or picture study, or some of the geography work, or recitation and dictation) so that they would be gaining some community but not at the cost of having to cut out large chunks for the school work they wanted to do or squeezing it into fewer days a week. How much the co-op would do would depend on whether it met weekly or monthly, full days or half days, and where you meet. If it is not a place conducive to nature walks, for example, you will want to either forego them, or you would omit other things to make time to drive to a place for nature walks. Recitation - we gave the kids a chance to recite poems (their choice) or play piano pieces they had learned for each other. Nature Study - more often 'object lesson' type of stuff for the 'class' type meeting - mostly on various aspects of plants this past year. Our 'field trip' outing was often a park or nature hike, though so it rounded out a bit. Composer Study - introducing the composer, listening together and discussing what we heard, with the understanding that we'd all continue listening at home through the month. Handicrafts - we did Paper Sloyd in the fall and hand sewing projects in the spring. Have you worked out a local co-op or study group compatible with AO that works for you? We'd love to hear about it! 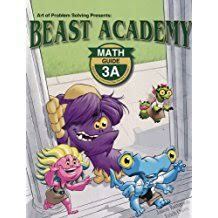 You could have a co-op using this 2.0 program designed for cottage schools working with kids coming out of public schools, or you could use the 2.0 as your source for books to do together once or twice a month. Note: It is a lighter version than our official AO curriculum, which is still, in our opinion, the 1969 mustang, the 1957 Chevy, the Ferrari, the Porsch, and the car we don't even have yet- the solar operated, green fueled and designed durable and affordable hover-car! In short, the AO curriculum as seen on the website is still a winning and excellent combination of classic and modern, style and workmanship, heavy duty, road tested durability and affordability. That is not going away. This AO for Groups curriculum is for cottage schools and larger families. It is the 12 passenger van for families who don't fit in the AO family car anymore. The usual caveats apply: this is one sample of one mom's work with one of her kids, and we are excited to be able to share it with you all. We hope it will give you ideas about your own schedules and be an encouragement. It's not a blanket endorsement, a recipe, or a straitjacket. It is meant to be a helpful example. Huge, huge thanks to Tanya for catching the AO spirit and letting us share it. I'm Tanya Stone. 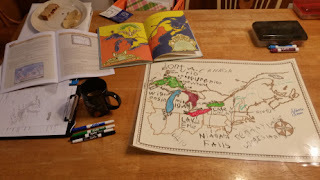 I've been homeschooling for 7 years, since my oldest entered Kindergarten. I've been using Ambleside Online for about 5 years. My children are 12, 11, 9, 7, and 5. Do you have a schedule to share? Let us know! 1. This is how this year worked for Diana with her child. It's not to be considered a full endorsement by AO (neither is this very generic caveat to be seen as a disavowal of anything in particular). It's one example of how a family made AO their own. We hope it inspires you. It's not meant to be a recipe or a list of commands. 2. Any list of books in order from easiest to hardest is going to be just a bit subjective (Diana addresses this as well). I recently read aloud a very easy picture book to a group of kindergartners- and I had to stop and explain things several times. They all live on a tropical island. Most have never lived in America (even the two or three with American parents). While their English is excellent, among the class were children who had no idea what such things as a moose, a bonfire, autumn leaves, and jam were because they have never seen them or been exposed to them, or they use different terms. So without further ado, here's Diana! Last month, I was able to write a guest post for Ambleside Online's official blog, Archipelago, detailing my family's journey through Year 3. Today I am writing a similar post about our experience with Year 1. This is my second time teaching Year 1, which was way more easy than the first time around since I, myself, have begun to wrap my mind around Charlotte Mason's philosophy. Of course, every home school is going to look different, even if we're using the same wonderful Ambleside Online curriculum. I definitely believe that our uniqueness (both strengths and weaknesses) as mothers and as a family at large are what makes each set of parents the best teacher of their own children. Just know going into this post that we are a very literate family. I mean, none of us have been awarded a Pulitzer or Nobel Prize, but both Dear Husband and I are working writers, and two (so far) of our three sons have been early readers. Maybe your family is more of a hands-on or science-y type. That is great! I hope that you are playing to your strengths and covering for your weaknesses just as we are striving to do. One more note about us. Our Year 1 student, L6, is ... well ... slightly different than most kids his age. First, we suspect that he may be on the autism spectrum. Although he gets along very well in this world, he has a few symptoms that have lead us to this theory. We have not pushed for a diagnosis in the past, but we may in the near future. Second, L6 is what some people call "gifted" but is better labeled "asynchronous." It's funny because you would think the higher the IQ the easier a child is to teach, but that's not always the case. Often an asynchronous child thinks differently or faster than their peers but still at an age appropriate maturity and emotional level; hence, the out-of-sync label. Basically, teaching an asynchronous child -- and "twice exceptional" if our suspicions of autism are correct -- can be very frustrating because you're not sure when to push for excellence or when to back off. Thankfully, AO's curriculum is a broad feast. It's absolutely perfect for an asynchronous child. Basically, if some of the stuff we do in Year 1 seems strange, it probably is just a little. Specific Scheduled Book Advice This ranking is very subjective. 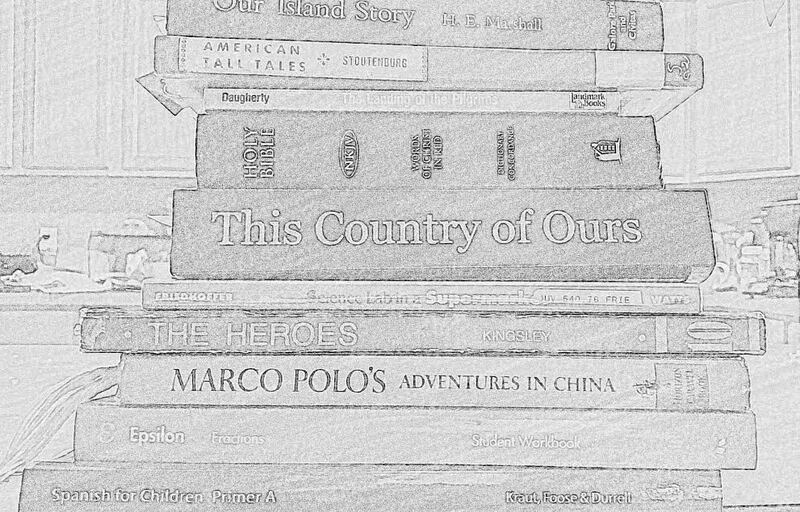 At the Year 1 level, I am prone to label a book "more challenging" because its stories are longer -- even if you chop them up into different sittings -- rather than just by an elevated writing style. There are several books on this list that L6 could "read" as far as de-code the words, but he could not read these at length and comprehend, so these have all been read aloud to him. If this is your first time doing Year 1 with a student, all of these texts are probably new to you. L6 is my second student to complete (nearly!) Year 1, so these books are my old friends but somewhat new to him. An Island Story and Trial and Triumph are both books we will be using for the next two years. L6 listened in quite a bit with British history when his older brother passed through it, so he has taken to An Island Story very easily. 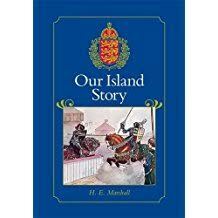 He especially enjoyed the chapters around the King Arthur era since we have read several Margaret Hodges picture books of the same setting (Saint George and the Dragon, The Kitchen Knight, Merlin and the Making of the King). 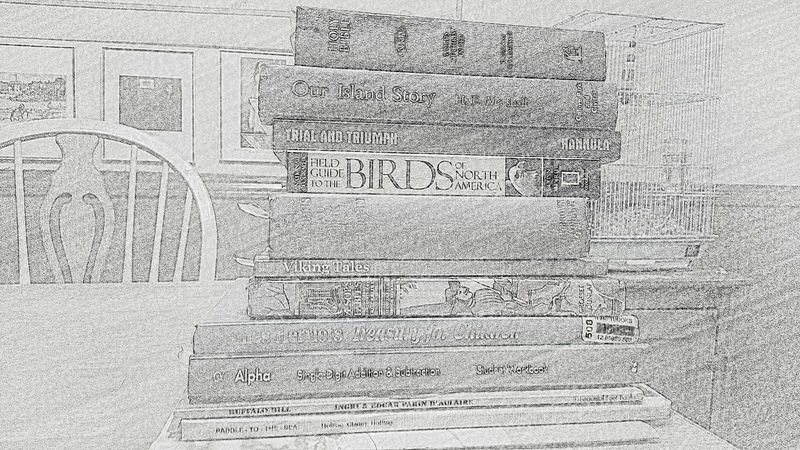 L6 is a HUGE fan of picture books. He's a lap sitter and a snuggler. Bedtime reading is a big deal to this kid. Trial and Triumph contains a lot of death and church history, both which can be confusing to a six year old, but I'm glad to introduce some church history to my kiddos. I've seen many AO users comment that their child is too sensitive for this book, but so far my boys have weathered it well. In fact, L6 was very excited to pick up on the use of "creeds" in the chapter on the Nicaea counsel because we memorized the Apostle's Creed as part of our morning time recitation work this year. scheduled for Year 1. 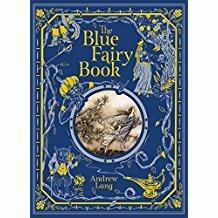 This one, along with Aesop's Fables, is not only great for teaching history and literature, but they are also excellent for teaching children to narrate. L6 is already a master narrator. I'm not sure if it's from watching his older brother or if it's because he's particularly good at holding thoughts in his head. The stories in these two books are so short and so focused that narrating their central theme is fairly easy. If your kiddo is struggling with narration, these two texts are great starting points to work on that. 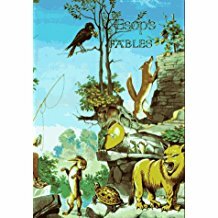 We happen to already own a different version of Aesop's Fables than the suggested Milo Winter edition. Rather than bouncing around the book to follow the AO schedule exactly, we just read them in the order they are placed in our book. No big deal! 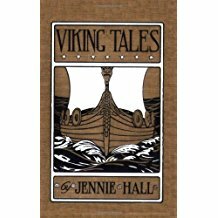 We're still reading through Viking Tales by Jennie Hall, but it's a very lovely addition to An Island Story, Year 1's main history spine. I'm so glad the AO Advisory made sure our Year 1 students had a little bit of understanding of the Norwegian influences in European history. 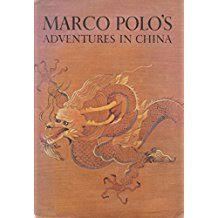 This book sort of lays the groundwork to understand The Little Duke in Year 2 since the main character's family in that book is descended from the vikings. L6 is in love with Scandinavia because he attended a vacation bible school program that was all about Norway. When we busted out the Viking Tales in Year 1/term 3, he was very excited! This is also a good time to add in the D'Aulaire book Leif the Lucky, if you happen to own it. Speaking of D'Aulaire, the three of those books scheduled are all very fun and beautifully illustrated stories of American history. I've sometimes seen other CM communities give AO some flack about focusing so much on British history in Year 1. To each her own, I guess, but let me just chime in from my experience. First, the D'Aulaire books do introduce American history in Year 1. And, second, having seen my 9 year old pass through Years 1 and 2, absorbing all of this British history, I can tell you that when we got to honest-to-goodness American history in Year 3, he had a very good understanding of how the first English settlements came to be. It was astounding. Hang in there in Years 1 and 2 with your British / European history. You are building a foundation that will really begin to shine in Year 3. Paddle to the Sea by Holling C. Holling is really not that difficult of a book. 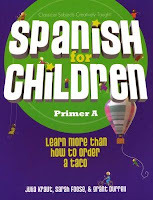 It has some lingo in it that can be challenging, but all of the illustrations really help support the text. I rated it a bit challenging because it was L6's first foray into geography. L6 did some amazing map work (thanks to maps purchased from Beautiful Feet Books) to go along with the chapters. (This is geography. Do the map work!) I hear there's a short film about this book on available on YouTube, but we haven't watched it yet. Holling's books transport you, as a reader, to another world. You really just have to jump in and be swept away. Yes, Year 1's main character is a wooden Indian in a canoe. Hold onto your hat, though, because in Year 2's Holling books the main characters are a tree and a bird carved from whale bone. Year 3? A hermit crab. Yep. As already noted, we traded Lamb’s Shakespeare for a line of books called Shakespeare for Everyone written by Jennifer Mulherin. I found the Georgian / Victorian language used in Lamb’s only confused Shakespeare’s Elizabethan era plays, so we opted for a modern retelling followed by film viewings. 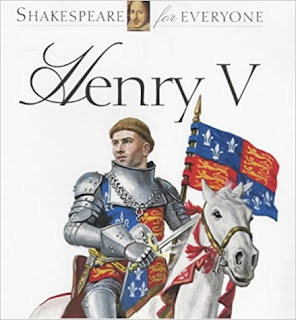 I know most people advise to "start with the comedies," but since my Year 3 student had just read about Henry V of England, we started our family-wide Shakespeare project with that play. Maybe it's just because we're a house full of mostly boys, but Henry V went over very, very well. In addition to the retelling, we studied the St. Crispin's Day speech ("We few, we happy few, we band of brothers ...") and watched the Kenneth Branagh film -- which my boys were happy to see included not only Gilderoy Lockhart, but also Professor Trelawney (Emma Thompson), Rubeus Hagrid (Robbie Coltrane), and Batman (Christian Bale). Because we do Shakespeare as a family, we had our own rotation going rather than juggling Year 1 and Year 3 assignments. Now I see that AO has moved to a Shakespeare rotation, we will probably try to jump on board (so long as we don’t repeat what we’ve done recently). Do not be intimidated by James Herriot's Treasury for Children. These are really just a bunch of picture books all in one binding. I don't know about your kids, but it really wasn't a stretch to read picture books about farm animals to my kids. Just enjoy these little gems, and feel free to read the entire book, even though not every chapter is scheduled. You may find that your Year 1 student wants to become a vet for a while after reading this book. The Scheduled Bible readings for Year 1 are basically just a list of popular tales from the Bible. My kids are all quite familiar with the New King James Version as that is what we read from at home all the time (and use for recitation). No matter the translation you prefer, don't go into Year 1 Bible worrying about whether you child understands absolutely everything. You don't have to turn this into Sunday School with a planned craft or song. 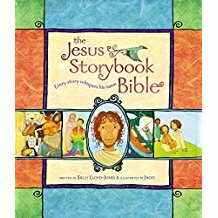 Just take time to familiarize them with these iconic stories and get them used to reading from the Bible rather than a Bible-type book (even though there are some excellent Bible story books out there, too, like The Jesus Storybook Bible.) Make this time fun and relaxed, because the Bible is a book they will enjoy reading every single year with AO and, hopefully, daily throughout their lives. Oh, The Burgess Bird Book, how I dread you some days. 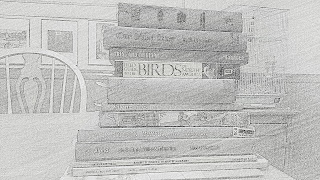 It's not so much that the stories are a bit repetitive (describing birds can get old), but it's more that I know L6 wants to color a picture of each bird, and it's so difficult to find coloring sheets of birds that look like a Flycatcher or a Martin -- there are helpful mom-created web sites out there, though. I've also found several coloring images here. 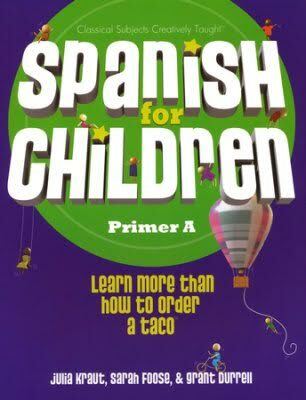 These resources just aren't comprehensive of the whole book. If someone systematically went through this book and created companion coloring pages, I would appreciate that! L6 wants to color each bird just right, and I hold my breath each time as his little perfectionist heart goes to work. I do appreciate this book, though, for getting us thinking about birds but still being a narrative form. I'm glad we also have a field guide and online resources at our disposal to liven things up. We've looked up birds on YouTube and at the Audubon web site to see videos and hear bird calls. We also bird-watch at our feeder. 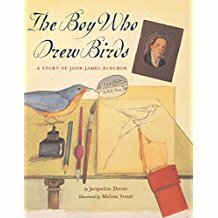 We read a picture book called The Boy Who Drew Birds: A Story of John James Audubon this year. I thought that was a nice tie-in. Whatever you can do to blow the dust off Peter Rabbit, Jenny Wren, and all the endless parade of bird varieties the better. With my oldest son, I simply read the book, and he really didn't get much out of it. With L6 I've made these efforts to make it more of an interactive experience. Oh, and remember, you don't have to read the chapters in order (or even all of the chapters). Pick the chapters by the birds you want your child to learn. I'm going to lump the poetry books together even thought they are each wonderful in their own way. It has amazed me with both of my Year 1 students how much kids love poetry if someone will just make time to read it to them. Kids are not nearly as afraid of rhyme and meter as we adults are. 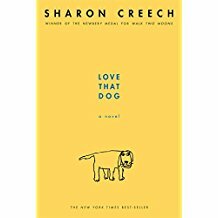 In fact, L6 and I recently read a free verse book called Love That Dog by Sharon Creech -- we loved it! It dealt with the death of a beloved pet dog, which is something our family just went through. Now We are Six by A.A. Milne is a particular favorite of my children's because it's so funny. All of the AO poetry options come in colorful illustrated editions, which is not always necessary, but is nice for a 6 or 7 year old. I find Rudyard Kipling to be challenging. I want to like him, but I am just not there yet. Just So Stories scheduled in Years 1, 2, and 3 were hard for me. That said, I was able to punt those readings to Dear Husband for now. That sort of feels like cheating, but until I can love Kipling I wanted the kids to hear him read by someone who does. Another option is to get an audio book. It would probably help if I would spring for a picture book version, but right now we just have a cheap paperback. I need to get on board, though, because Kipling is sprinkled throughout the AO years. Thankfully, everyone in this house but me has loved Just So Stories. We have read countless books at bedtime as well. As previously noted, L6 loves picture books, and he is usually able to read any picture book (to himself or to his little brother) off the shelf at the library. I could never list all of them, but we tend to follow the advice of booklists from sources like The Read Aloud Revival, Housefull of Bookworms, Honey for a Child's Heart, and others. Much to my chagrin, L6 has read all of the Diary of a Wimpy Kid books and every single Dav Pilkey (Captain Underpants, etc.) book. 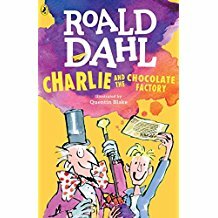 Additionally, he has read some Roald Dahl books -- The BFG and Charlie and the Chocolate Factory for sure -- and we have read several books together as a family, including The Hobbit, The Borrowers, The Lion, The Witch, and the Wardrobe, and the Ramona series (Beverly Cleary). We are a Math U See family. 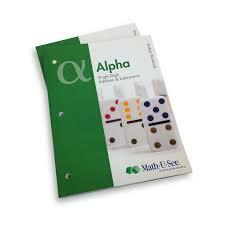 L6 is nearly finished with the Alpha book. He has taken to math very easily like his older brother. When the day comes that he is ready to run with math, I think he will be exceptionally good at it. Right now, though, he'd rather do his one page of math and then go ride his bike. I'm not going to argue with that at age 6. 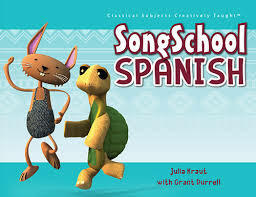 School Spanish curriculum with his friend, but that friend is not quite ready yet. Since he is reading on his own, we are not taking time for daily Phonics or Reading Instruction, although I do love Starfall.com for those skills (in addition to actual books). We do Recitation together in morning time, choosing to memorize favorite poems or Bible facts set to music. I am not great with Handicrafts. I hate that about myself, though, because I see others making things and wish I had that skill or drive. The boys are probably behind in this because Dear Husband and I are both inept, but we are trying. We do paint and draw a lot, and we do a lot of freewriting (ala Brave Writer). I've taught the boys a bit of handsewing. We very closely follow AO’s artist, composer, and folksong/hymn study rotations, utilizing morning time to do this as a family. Additionally, I have taken A9 and L6 to a couple local symphony performances for a little in-person music appreciation. A9 and L6 both take piano lessons from me at home, we hope someday that L6 might take violin lessons. With his hyper-focus abilities and dexterity, we think he might have a knack for it. 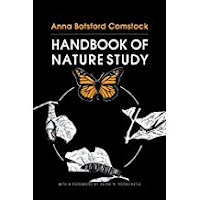 We also learn about nature topics in morning time, according to my own reading of the Handbook of Nature Study, various picture books, and field guides. A9 and L6 both sketch in nature journals, and we belong to a weekly hiking group for kids (taking its cue from the Wild and Free movement). J4 and L6 both like to attend a monthly nature class at our local Conversation Department, and all three boys are involved in Cub Scouts. We also attend a local school co op one day a week, which gives the boys 4 hours of classroom experience each week. In order to fit this in, we stretch the 12 week AO terms into 15 week intervals. All three of our boys all take a weekly swim class designed for homeschoolers at a local indoor pool. L6 and his brothers are now playing Little League Baseball, and I think A9 and L6 might be interested in track next spring (2018). Our community also has a monthly "homeschool skate" at our local roller rink. We've only been once, but L6 loved it! He's turning out to be an individual sport type of guy (no surprise there!). Probably our best source of recreation, though, is living in a cul de sac where the boys ride their bikes and scooters up and down the street.